Detroit circa 1902. 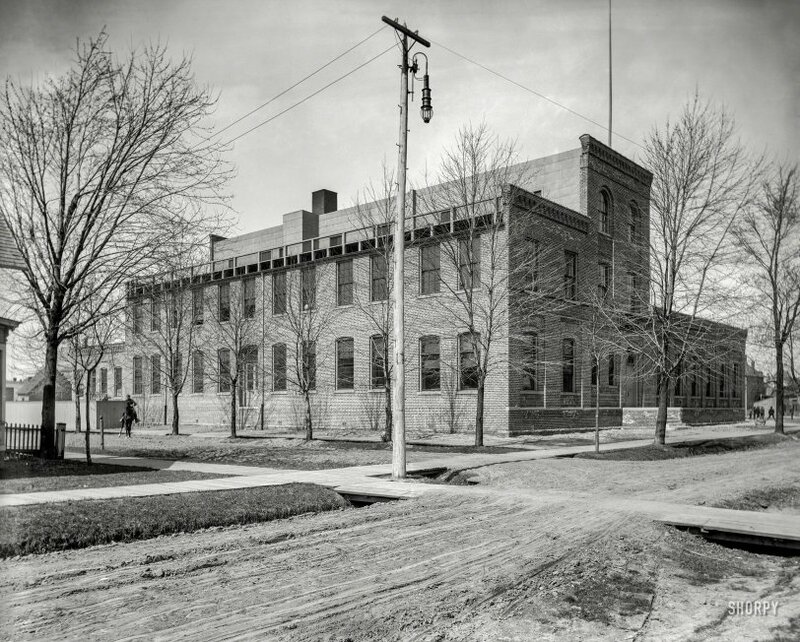 "Photochrom Company Building, front view." Last seen here and here. The boys are still at their ballgame, at least until the cavalry turns the corner. 8x10 inch glass negative, Detroit Photographic Company. View full size. Submitted by dxhansen on Sat, 11/04/2017 - 8:01am.